Harissa Paste is a hot chilli paste originating from Morocco/Tunisia. 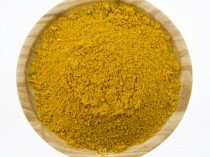 Harissa is a perfect marinade or rub for meat or vegetables. Freshly hand-crafted . 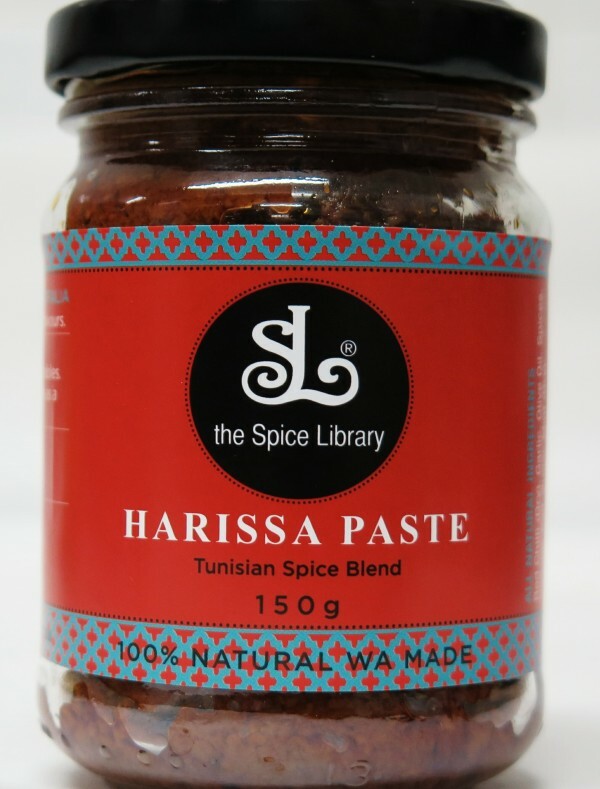 Harissa Paste or Tunisian blend is a hot chilli & spice paste widely used in many Moroccan and Tunisian dishes. 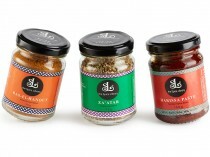 The Spice Library’s Harissa Paste is freshly hand-crafted in Perth WA, using the freshest ingredients. In Tunisia, this paste is added to soup, goat casseroles and fish stews. Also use with couscous for an added flavour. We highly recommended using the Spice Library’s Spices harissa paste with our Ras-el-hanout spice blend for moroccan tagins and casseroles. Perfect marinade for lamb, beef, chicken or vegetables. 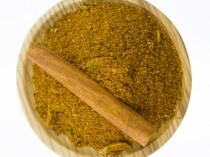 Use with Ras-el-hanout and preserved lemons for Moroccan/Arabian tagine dishes. Can be mixed with yoghurt and used as a side dip or marinade. BBQ, grill or pan fry. When your recipe calls for a touch of heat – use this delicious paste for an added flavour with chilly or peppery heat.